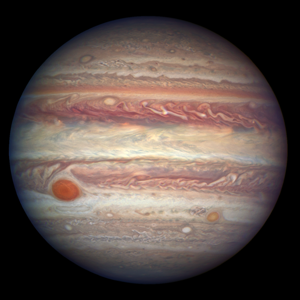 Jupiter is the fifth planet from Sol and the largest planet in the Sol System. Jupiter has approximately 45 million inhabitants settled across the various moons and stations orbiting it. It is the closest of the outer planets and is de jure governed by the United Nations. Belters and long-term corporate employees, researchers, and tourists are scattered among Jupiter's 69 moons, of which approximately contains 45 million settlers.